has been down for about a week now. Hope everything is okay with Jan.
That was one of the best sites. Anyone know anything? has been for about a week now. Several months ago, Jan told me in an email, and I think here on the board, that he was locked out of his own site, and was trying to get ahold of his tech guy, without success. It may be that the tech guy finally contacted him and the site is down because Jan is updating it, but that is pure speculation. I will contact him to see what's up. If you do and Jan needs any tech support I can always ask my tech guy to advise. Thank you for your mail. Good to see the board growing! offered to host my site in 1998. In May 2010 we would go together to a Tull gig in Holland, but he didn´t show up. All I know is that his company has moved from the UK to China. He doesn´t respond to my mails and I cannot access my files (see the last update), while I have tons of new annotations to add. Let´s hope it will be online again. The bummer is that I do not have copies of my pages, as I rework them live online with Aptana Studio software.... So there is no backup. Let's hope Jan finds his internet service provider soon, as he indicates that he has loads of annotations to add, so understandably, he is frustrated at the moment. I finally contacted my ISP. The problems will soon be sorted out as soon as he´s back from China. PS: great to see how this board is growing! I don't know how many times I've looked to your site for reference points and also thrilled that you are a member here. And yes, it is also great to see how this board is growing. The boys put a lot of effort into this and are always looking for interesting and imaginative ways to keep things fresh. Fantastic news! looking forward to seeing t back where it belongs. As always if we can help in anyway, you only need to give us a call! The Cup Of Wonder site could infect your computer with BlackHole toolkit. Don't go there unless your computer is well protected. You know, the last time I visited there I did get a warning from Avast about a malicious application, but Avast was successful in blocking it. 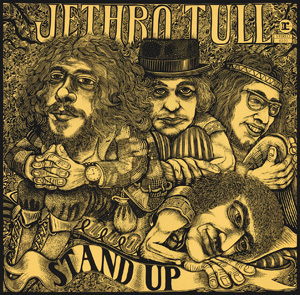 I noticed that Cup of Wonder is also having similar "Jethro Tull webring" problems that we were recently experiencing. I hope Jan can fix these problems, by running an appropriate program to root out any viruses, toolkits, etc. Thanks for warning our members, Tootull! I will send an email to Jan about the problem.